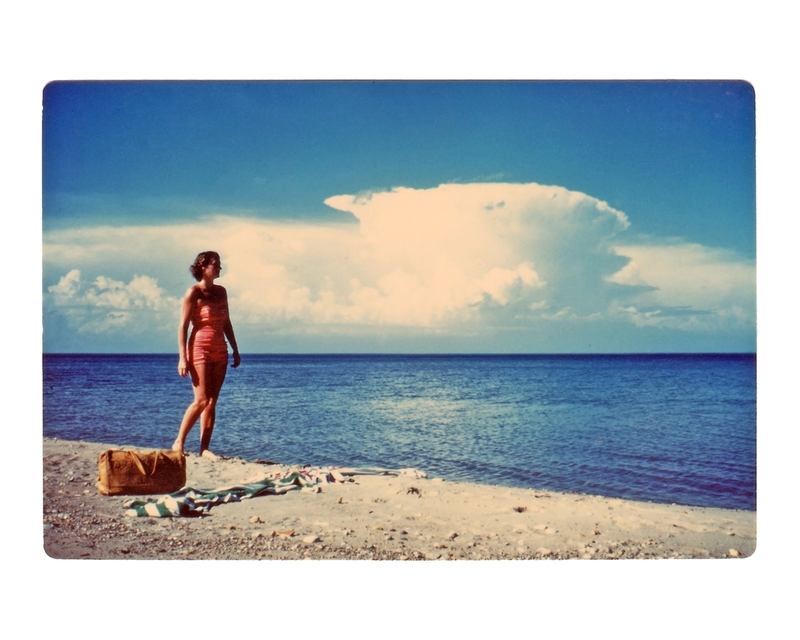 A beautiful woman stands on an isolated beach in this fine art print made from a vintage found photo in the Obscura permanent collection. Using high quality archival ink and thick, smooth cotton rag paper, these prints allow you to display some of our most exceptional photos in your own home. Each image is available in multiple sizes, from an affordable open edition 8x10 inch print to larger limited editions.